No, this isn’t a Halloween decoration. 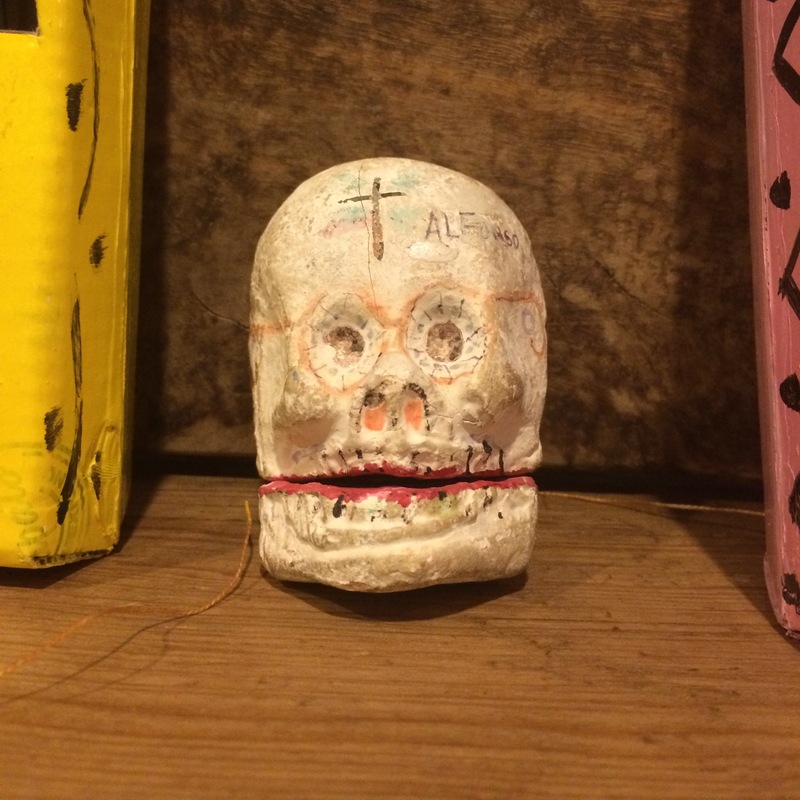 It’s part of a larger display that’s connected to Día de los Muertos, which means “The Day of the Dead.” This Mexican celebration of friends and family members who have died is observed in many other parts of the world, too, including Texas. The celebration isn’t meant to scare people but to invite them to remember and to pray for those friends and family over All Hallows Eve on October 31, All Saints Day on November 1, and All Souls Day on November 2. Interestingly, according to a recent article in the Houston Chronicle, monarch butterflies passing through Texas to spend the winter south of the border arrive in Mexico around Día de los Muertos. Does that mean anything? Resurrection?